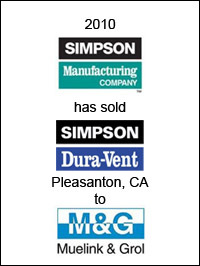 Simpson Manufacturing Co., Inc. (NYSE: SSD), Pleasanton, CA, has entered into a definitive agreement with M&G Holding B.V. to sell substantially all of the assets of Simpson Dura-Vent Company. Simpson Dura-Vent designs, engineers and manufactures venting systems for gas and wood burning appliances. M&G, a Netherlands-based company, manufactures and distributes venting products for European markets. Subject to customary conditions and approvals, the transaction is expected to close in September 2010. 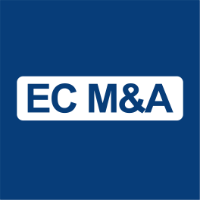 EC Mergers & Acquisitions acted as exclusive financial advisor to Simpson on this transaction.